A 1.5 Litre Pump up Plastic sprayer with calibration markings, for use with general cleaning products. 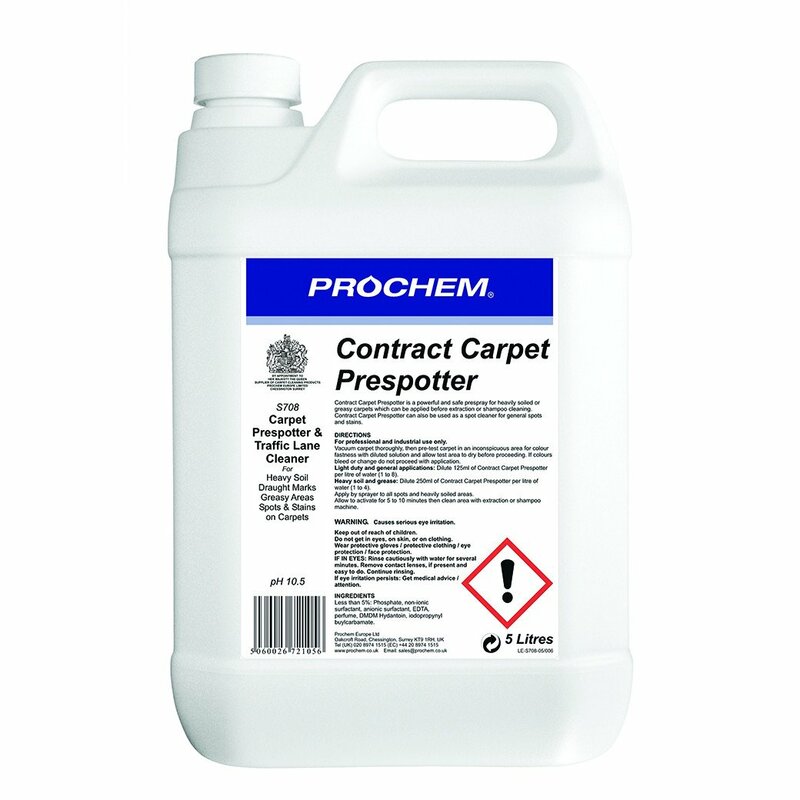 Prochem's Contract Carpet Prespotter is a powerful and safe low cost carpet pre-spray and spot cleaner for heavily soiled and greasy carpets which can be applied before extraction or shampoo cleaning. Prespotter can be used as a spot cleaner for general spots and stains. Turquoise liquid with a pleasantly scented lavender fragrance. General Stains - Drinks, Soil, Food ect..
Prochem chemicals have a worldwide reputation for outstanding performance in the professional, commercial and institutional cleaning sectors. A wide selection of specialist products cover a whole range of differing requirements for carpets, fabrics, floors and surface cleaning technologies and maintenance. Formulations are developed in-house to meet strict performance, safety, quality and environmental criteria. Prochem Europe chemicals are available from a network of selected distributors offering local supply, professional advice and training. Q. Is this product okay for use with a Numatic CTD 570-2. A. 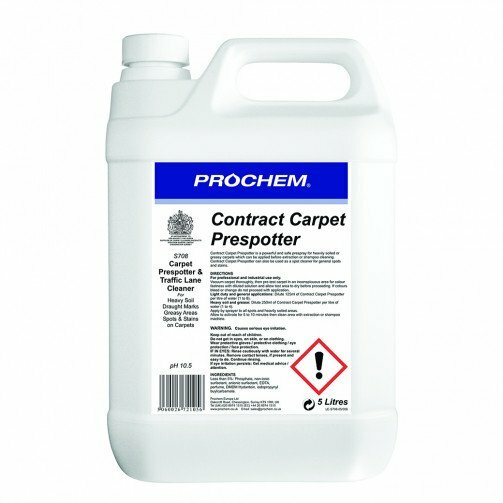 Yes, Prochem Contract Carpet Prespotter is fine to use with this machine.